Due to our fabulous relationship with our La Manga Property owners we are pleased to offer the best La Manga villa rental price guaranteed. The La Manga Club Hotel – Principe Felipe offers 192 beautifully designed La Manga Club hotel guest rooms and suites with stunning golf or pool views. 3 nights inc B&B + 3 rounds of golf from £279pp / £753pp 7nts La Manga Hotel (Prince Felipe) & Las Lomas Aparthotel from £196pp / £448pp 7nts. Prince Felipe Hotel : Best rates & up to 20% off inter connecting child rooms / Free Junior Club 5-12 years / Free child dining for children 4 years and under. Tradition, history and modernity collide at La Manga Club in narrow stretch of land of the same name on the very tip of the Iberian Peninsula of Murcia. From ancient times, the people of Murcia have settled around the fertile banks of the Segura river and then outward to the instantly identifiable spit formation coast of La Manga. A Holy Land and municipality, steeped in history and renewal, innovation and-and stunning architecture sets the tone for this magical area of Spain, famous for its hospitality, cuisine and ancient traditions. La Manga Club is a captivatingly large super resort in 1400-acre s of opulent, activity-plenty utopia. Cradled between the Murcian Hills and the Mediterranean Sea, La Manga Club Resort resides in the overwhelmingly stunning region of Murcia, in South-Eastern Spain. With a transfer time of only 20 minutes by taxi or hire car from Murcia’s airport, this area of the Spanish coast inhabits half a million Spanish and entices travellers from all over the globe and provides easy access to the rest of Spain’s most cultural and picturesque destinations. La Manga Club sits on the hill between the blue depths of the Mediterranean and to the West, the Mar Menor Lagoon, a shallow saltwater lagoon perfects for sailing and exploring the nearby nature reserves. The Resort is situated within easy pottering, wandering and explorative reach to some pristine beaches. With over 300 Days of uninterrupted sunshine beaming down on this glamourous hill top, the region proudly boasts the best weather in the entire of Spain, perpetually hitting 22 degrees centigrade year-round. Made famous in the 1990’s, by Manchester United, Glen Hoddle’s England Squad and Tottenham Hotspurs, amongst many others in the Premiership footballing heydey, high earning British football teams began to send their players out to train in the hotter climates ready for international games and stamina building. In 1998, the already exclusive and extensive facilities of La Manga saw an entire England football squad come to train at the now official “Professional Football Centre” for the pre-world-cup training, repeating this visit in 2003. La Manga is itself a unique landscape and location, both to enjoy as a relaxing traveller and for one seeking the perfect environment for water sports conditions. The La Manga Club Resort in the province of Murcia is situated ideally within 10 minutes of the massive Mar Menor lagoon – so exclusive to this Spanish peninsula. The Lagoon, the largest in Spain, is a unique setting for all things sporting and water-based, due to the lagoon’s warm shallow waters, calm tides, constant breeze and year-round decent weather. The training lagoon is some 180 square kilometres and no more than 7 metres deep with high salinity for aided flotation. Where is La Manga Club Located? This magnificent landscape of villas, main hotel and surrounding purpose-built village offers couples and families the ultimate in Luxury Resort in this stunning part of the Iberian Peninsula. The familiar appeal of a deeply Mediterranean landscape in a panorama of viewing delight. Reflective white-wash stone villas intensify all surroundings, from the lush pine covered hilltops to contrasting shades of every Azure in the nearby seas. The Western coast of La Manga’s Split hosts a stunning scattering of inlets, cave-sopped beaches and cloudless skies. Perfect for exploration and total escape. The specially commissioned Resort contains three golf courses ranking as the amongst the very best all-rounders in Europe. The proof is always in the pudding, as it were, with the Resort hosting 5 National Spanish Golfing Opens in addition to many national and charity fundraising events. As a sporting centre, this isn’t the limit to La Manga; this fantastic resort holds some of the most excellent Tennis Facilities in the Country. La Manga Club exalts a massive 28 Tennis Courts on site, mandatory after play clubs, a state of the art Football centre, fitness centre and Spa. Of course, no Mediterranean resort would be complete without numerous swimming pools scattered around the complex hub and in and amongst the hills and carefully crafted gardens of olive and hibiscus, mild open air, whilst winding walking trails join us altogether so one might take it as easy or as sporting as desired. What is La Manga Club? La Manga Club’s landscaped holiday resort offers 3 of the best golf courses in Europe, and has hosted 5 Spanish Opens as well as numerous national, charity and corporate golfing events. La Manga Club is also home to one of Europe’s finest tennis centres with 28 tennis courts , paddle tennis and squash court. La Manga Club also has a professional Football Centre, open-air swimming pools in abundance, a Mediterranean beach cove, miles of stunning trails to walk or ride, and a host of other sports. La Manga Accommodation can be chosen from one of the many private La Manga villas and La Manga apartments to the stunning Prince Felipe La Manga Hotel offering 192 beautifully designed La Manga Hotel guest rooms and apartments in the Las Lomas Village – most with with stunning golf or pool views ! All La Manga Club Resort guests can choose from a selection of 28 stylish resort restaurants and bars offering the best in cuisine and entertainment. La Manga Club Las Lomas village offers a comprehensive resort Fitness Centre that includes spa facilities, massage and beauty treatments. 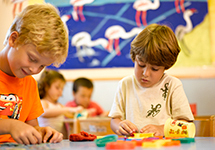 Kids are also well catered for at La Manga Club Resort; the La Manga Kids Club provides quality childcare all year round, with a host of children’s activities during the summer and main school holidays. La Manga Club is the perfect holiday resort destination at any time of year for a fun-packed holiday for the family, a golf holiday or sporting break with friends, a romantic getaway, a business conference or an incentive, with all the service and sophistication you expect from a top international resort. La Manga Club – Europe’s Leading Golf Holiday Resort. Source : World Travel Awards 2001, 2002 , 2003, 2005, 2008,2009. The perfect example of a coastal geological spit, La Manga del Mar Menor means the “Sandbag of the Minor Sea” and derives of a narrow strip of land that separates the Mediterranean Sea from the Mar Menor Lagoon. The spit stretches approximately 21km and has long been a historical landmark. The Battle of Cape Palos (Cabo de Palos) occurred in the Spanish Civil War in 1938, and its famous lighthouse has been in operation since 1865. La Manga offers Villa, Apartment or Hotel habitation during your chosen time of stay. 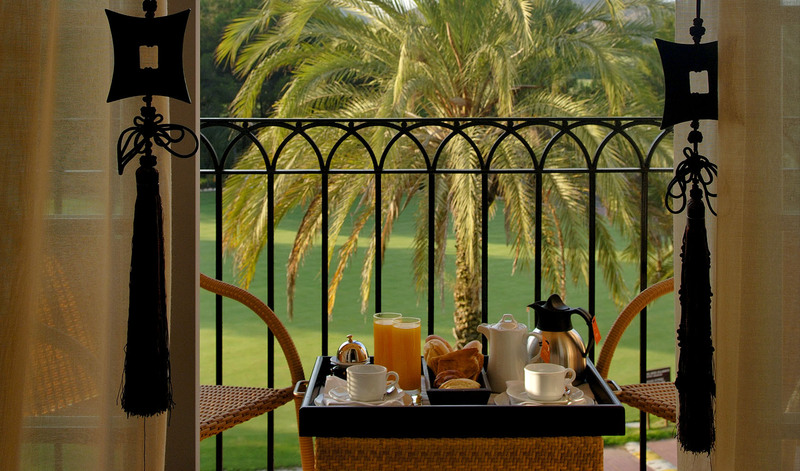 The Las Lomas village was purpose-built to have easy access to the tennis and golfing sites, while the resort considers a huge and diverse array of restaurants, cafes and bars to kick back for your stay. Offering a delightfully decadent 28 places to dine out and sample local and international cuisine and entertainment for all the family. This precious hub of La Manga Club opened in 1994 after the reconstruction of the old hotel, ‘Las Mimosas’. This magnificent, downright luxury hotel was refurbished in 2008 with a sumptuous, elegant style, with many Mar Menor and the Calblanque Natural Park. With 192 beautifully designed rooms, guests at Príncipe Felipe 5* Hotel can enjoy – inclusively – the luxurious facilities which include La Manga Club Spa. This is a state of the art fitness and wellbeing centre stretching 2,000 m2! The Spa contains a 25-metre indoor pool, steam rooms, saunas, thirteen treatment rooms and fully equipped, state of the art fitness centre with over 50 Treatment options available daily. The Príncipe Felipe 5* offers a wide range of rooms and exclusive services that will allow maximum satisfaction during your stay. Children of guests staying in Principe Felipe Hotel between the ages of 5 and 12 have free access to the Junior Club throughout your family stay. Bellaluz is the largest village layout at La Manga Club, with a central Market type square designed in the same replicated style of antique Mediterranean villages. The focal point of Bellaluz Village is the Plaza Mayor with its collection of bars and restaurants, shops and boutiques. LOS MIRADOR and EL PINAR Apartments at La Manga Club resort are the complex’s latest luxe structures, cosseted in amongst grand hillside views down to the Vista. 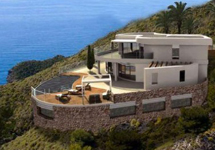 Built recently, and reminiscent of individualistic design and grandeur of the Hollywood Hills, La Manga Club Resort offers some exclusive, luxury hillside villas built on one level. A small number of these properties are also available for permanent purchase. With an option of private or communal swimming pools, and even one’s private tennis court, the villas have stunning views of the Lagoon and able to host private BBQ’s ad occupy the most glorious plots on our resort. We will always endeavour to reply to all enquiries within 24hrs. If you have not heard from us via e-mail please either check your email spam filter or call our Reservations Team on 01444 87 22 00. With an incredible choice of 28 dining and refreshment establishments, take in just some of the wide array of enticing options for dining as a couple or with the family, in a range of internationally sourced chef’s, cuisines and specialists. Please note that for the comfort and enjoyment of all guests, shorts or sportswear are not permitted after 7:00 pm. Delicious pizzas and pasta – Traditionally Italian, rustic atmosphere. Typical Spanish Tapas – Sourcing the very finest fresh local ingredients. Selection of the finest Spanish wines. The resort also pays homage to around the world with US, UK, Indian and Mexican restaurants with many smaller family-run snack and BBQ bars scattered throughout our extensive resort. The La Manga Club Resort Spa beholds 50 different treatment options, suitable for all ages and all types of rejuvenation and Well-Being programmes. The idyllic setting aside, our Spa is an expansive and serene place to relax and unwind both mind and body. The state of the art fitness centre attached is well-equipped for everyone; from the professional athlete to the health and mindfulness conscious family. Among all traditional face and body treatments, our therapists also specialise in an exotic Hawaiian massage. La Manga Club Resort suggests staying in the La Manga Club Hotel Prince Felipe or Las Lomas Village, which both include daily tennis play or group coaching to include bed & breakfast from £463pp per week. La Manga Club voted “European Golf Resort of the Year” – Source: Hertz International Golf Travel Awards – Europe’s Leading Golf Resort. New York’s World Travel Awards has voted the La Manga Club as “Europe’s best golf resort” for the third year running. La Manga Resort has been chosen as the official winter training base of the German PGA. Regular Host to the Spanish Open, Ladies’ Spanish Open, PGA Spanish Championships, Spanish Junior Championships, and Senior Spanish Open for men. Consisting of La Manga’s South, North and West Golf Courses, all of the courses hold hidden design intricacies, unique experiences and provide an incredible setting to spend time with your fellow golfing enthusiasts and to improve your skills, daily. David Leadbetter is widely-regarded as the World’s number 1 Golf teacher and coach. To improve your swing with the champion teacher himself, and for more information around the clock, call without delay our Design Holidays La Manga Golf Holiday team on 01444 87 22 00. Current Golfing Offers: 3 nights/La Manga Golf Holiday Packages from £196pp for three nights / B&B + 3 rounds of golf in Las Lomas or £279pp in the Prince Felipe Hotel. Seven night La Manga Golf Holiday Packages from £448pp for seven nights / B&B + 7 rounds of golf in Las Lomas or £753pp in the Prince Felipe Hotel. At a mere 40 minutes away, the imposing and distinctive Murcia sits. As the most 7th densely populated place in Spain, the city with many historical and religious places of interest. The Holy Week in Spain is recognised and followed here more than any other place in the Country, and traditional customs and cuisine continue to prosper alongside westernisation of the Iberian Peninsula. With a population nearing half a million Spanish people, the settlement is a city with a notable cathedral; spanning many centuries of embellishment, building and restoration ever since its first beginnings and structure spanning 1394 and 1465 in the Castilian Gothic style. The Santa Clara Monastery, a Gothic settlement with a Moorish palace’s remains from the 13th century, called Alcázar Seguir below deck. San Juan de Dios church-museum, a Baroque and Rococo circular church with the remains of a Moorish mosque from the 12th century within its basement. Alicante also provides over 80 European airport links and only 55 minutes away to the La Manga Club Resort. Please enquire with our team at Design Holidays to arrange Car hire as standard. Alternatively, check out local or online comparisons, prices vary depending on the length of hire, however, Murcia and the surrounding area is a captivating place to venture and meander. Our resort shuttle is available to pre-book for an airport transfer with Design Holidays and the Club Resort Reception. We look forward to all our guests’ arrivals and can check incoming groups to their accommodation anytime from 2 pm. Simply let us know if you will be arriving earlier. Check out is usually at 12 pm however we can work around your flights – just let us know you’re leaving the Martinhal Beach resort and we’ll do our utmost to help you. La manga delivers the best family holiday for us. There is high standard golf with excellent practice facilities and 3 very good courses. There is one of the best football academy in Europe for my son and the pool, spa and guaranteed sun for my wife. Doesn't come cheap, but I still believe it is a very good value for the money spent. Our experts at Design Holidays can tailor your stay at La Manga Club. Whether it’s a Golfing, Tennis, relaxation or family package, Corporate, Wedding or even a Birthday party, all our facilities are available for hire. 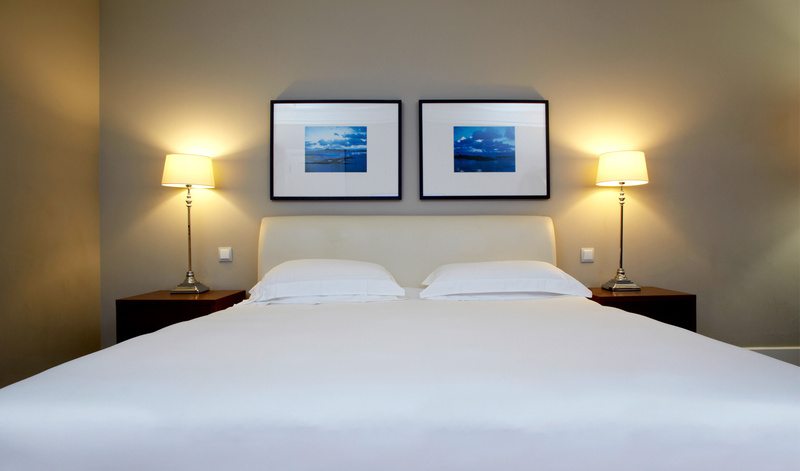 Our staff pride themselves upon the very best of customer and clientele service and from the moment you arrive with us in Murcia we hope to make your stay the most personable and terrific as possible. Design Holidays will always reply within 24hrs to your request. If you have not heard from us via email please either check your email spam filter or call our Reservations Team on 01444 87 22 00.